CRIB SIZE: 51" x 64½"
TWIN SIZE: 64½" x 78"
FULL SIZE: 78" X 91½"
QUEEN SIZE: 91½" x 105"
The pattern contains easy to follow colored illustrations. Easy method to make the star blocks. 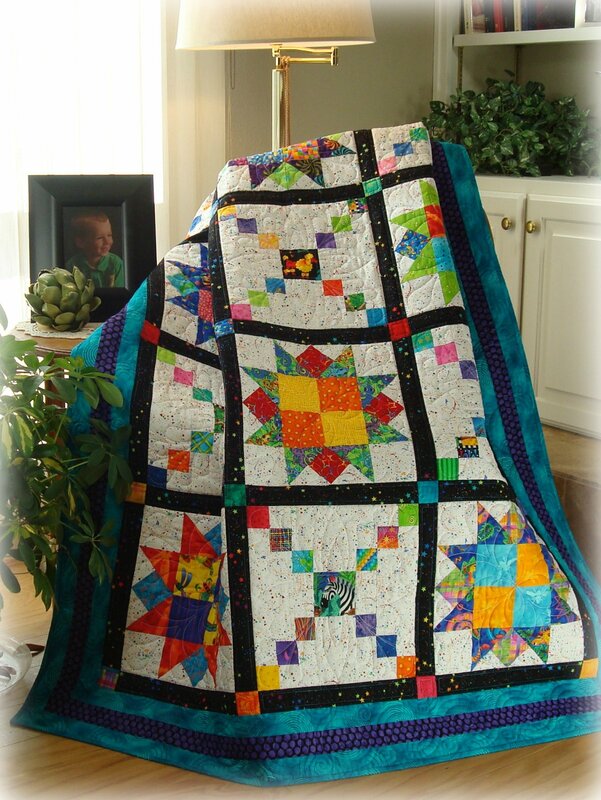 I made this quilt in bright fabrics, but it would great in any color combination of fabrics. You only need 6 fat quarters make the crib size quilt, plus fabric for the background and borders to make the top.